Dreaming of a place where you can roll out of bed and jump into the ocean? Look no further than these five tropical getaways where turquoise water, private decks, and outdoor showers are just the beginning of a bucket list trip. Dreaming of a tropical trip to French Polynesia? In a locale where turquoise water beckons beneath an overwater bungalow and colorful marine life circles, these five islands (that are not Bora Bora) are calling. Some travellers are looking for destinations that fall slightly off the beaten track—a call to leave the main cities behind in search of a private oasis residing somewhere in the hidden corners of the earth. The less people there, the better. On the nearby island of Tahaa we found a great mix of luxe and local authenticity. We stayed in overwater bungalows at Le Tahaa Island Resort & Spa on a nearby private island where guests can snorkel, paddleboard or just enjoy the sheer beauty of their surroundings. French Polynesia, a set of more than 100 islands in the Pacific Ocean, is an idyllic tropical oasis that has become a popular destination for romantic travel—think honeymoons and anniversaries—thanks to the allure of private overwater bungalows. The most traveled archipelago in the famed Pacific chain is the Society Islands, which is divided into two groups, Windward and Leeward islands, and is home to vacation hot spots like Bora Bora, Moorea and Taha’a. 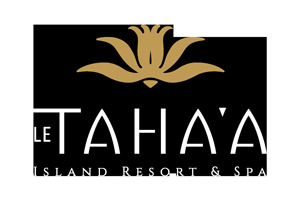 We loved loved loved Le Taha’a Resort. We were thrilled when they invited us to come out because I had heard so many good things about it, I have several friends who spent honeymoons there! They arranged a scavenger treasure hunt for the kids, had fun toys for them, and were very accommodating to our family. And obviously as you can tell the resort in and of itself is stunning!!! You’ll be forgiven for thinking of Bora Bora when you think of overwater bungalows, crystal clear lagoons and balmy evenings where the sun sets the sky on fire. Want to get away from it all in the South Pacific? Crowds are small at this Tahitian island—it doesn't even have an airport—but the snorkeling, sunsets, and French Polynesian culture are richly rewarding. Picture wading into crystalline water that looks littered with loose aquamarines, wearing a snorkel, mask, and water shoes, lying prone just below the surface and feeling a current start to sweep you through a supernatural passageway known as Taha’a Coral Garden. Say "Tahiti," and chances are, minds will wander to images of Bora Bora—the unrealistically blue lagoon, dreamy sandy beaches and, of course, iconic overwater bungalows. We all know it’s essentially the picture of idyllic, but there is so much more to French Polynesia than that one island, spectacular as it truly is. French Polynesia is so beautiful. It really is. Everyone has heard of Tahiti, Moorea and Bora Bora but there are so many other beautiful islands with amazing hotels as well. Taha’a is certainly one of those islands. This was by far the most stunning accommodation of the whole trip. Our perfect oversized beds were set upon glass flooring that enabled you to peer at the fish swimming in the ocean beneath. The sheer genius of the design is not to be outdone by the wide angle windows that dissect a whole wall, giving you 180 degree views of blue, blue ocean. It would be a mistake to not consider Tahiti one of the most restful, beautiful and pleasant islands populated by the most delightful and happy people that I have ever met on this planet.